Mark Gibson, director of orchestral studies at the renowned College-Conservatory of Music (CCM), University of Cincinnati, and music director of the CCM Philharmonia Orchestra, enjoys a career that spans three continents, guest conducting and teaching from Munich to Manila. He also serves as guest conducting faculty at the Central Conservatory of Music in Beijing as well as the Hochschule für Musik und Theater, München. Prior to his arrival in Cincinnati, Gibson served as principal conductor of the Alabama Symphony, visiting director of orchestral studies at the Eastman School of Music and music director of the New York City Opera National Company, Ash Lawn-Highland Summer Festival and Opera de Mahon (Menorca). 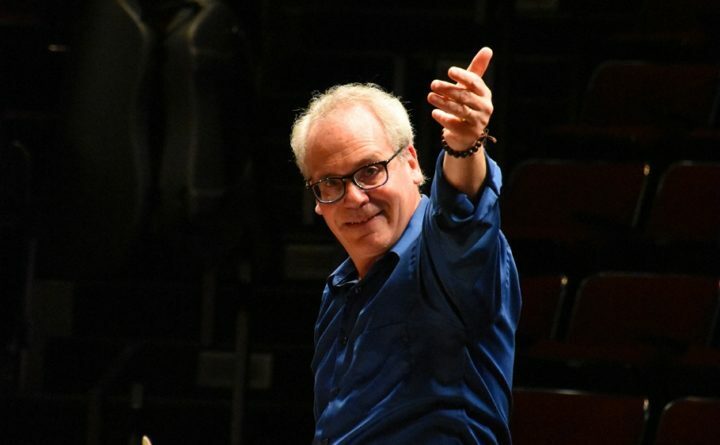 He has also served as artistic director of the Opera Theatre and Music Festival of Lucca in Italy and director of the opera conducting course at CCM Spoleto. He is presently artistic director of CCM’s unique immersion program, the Summer Opera Conducting Bootcamp. Gibson's conducting credits in the States include the Minnesota Orchestra, St. Paul Chamber Orchestra, Omaha Symphony, Jacksonville Symphony, Rochester Philharmonic, New York City Opera, Dallas Opera, Opera Pacific, New Orleans Opera, Cleveland Opera, Chautauqua Opera, and Spoleto U.S.A. His international appearances include Central Opera of Beijing; orchestras in Beijing, Chengdu, Xi’an, Tianjin, Shenzhen and Qingdao, China; the Opera de Valencia; Opera de Malaga; and Gran Teatre del Liceu in Spain, the Bochum Symphoniker in Germany, and the KBS Symphony Orchestra and Seoul Symphony Orchestra in Korea. A frequent guest lecturer on conducting, he has also led master classes and concerts at many conservatories and orchestras in the States and around the world, including the Hochschule für Musik und Theater in Munich, Seoul National University, National Taiwan Normal University, the Central Conservatory of Music in Beijing and the Escola Superior de Musica de Catalunya in Barcelona, as well as most recently with the Charleston Symphony Orchestra.